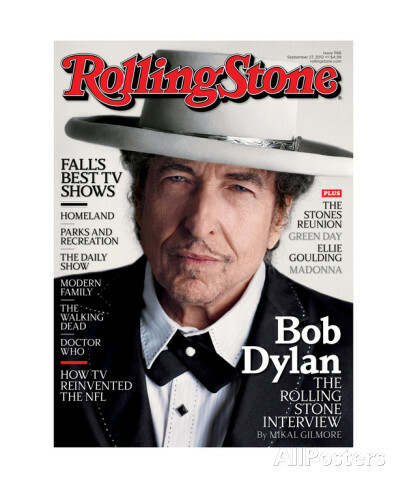 I’m not currently aware of any major interviews with Bob Dylan from 2013 or 2014, so this cover feature from Rolling Stone will likely be the last interview that I write about for this project. There’s plenty to say, and, indeed, I’m holding some pieces back for other posts (including a couple for tomorrow). This was both the weirdest and the most eventful interview in the Bob Dylan reading this year. Really, this was the moment, after spending fifty-one weeks doing little more with my recreational time than reading about Dylan and listening to Dylan and thinking about Dylan that I finally thought: Why in the world am I doing this? Who is this guy? I mean, it just the sudden crushing realization that I don’t understand him AT ALL. Not even a little bit. I thought I did. I thought I had a whole thing ready to roll out tomorrow morning about this latest art show and I thought “yeah, I see what he’s doing” and then I read this interview and I realized that no, no I do not get it at all. I feel like Gilmore here – stammering out half questions, and there’s Dylan saying “go figure it out” or, more bizarrely, read this Hell’s Angels book. Seriously. I’m Mr. Jones again. I read that without it ringing any bells, until a few hours later when I thought “Hold on, didn’t that get him into hot water in France?”. And, yes, it did. 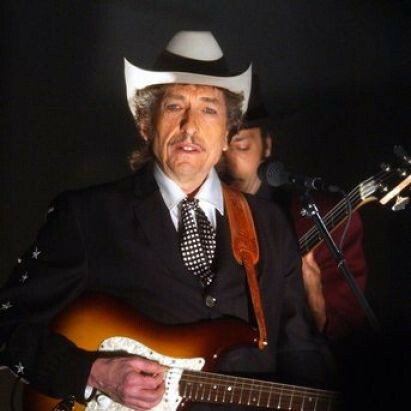 The Gilmore interview ran in the French version of Rolling Stone a month later, but almost exactly a year after that – in late 2013 – a French-Croatian group sought to bring charges against Dylan for promoting hatred. I read a few articles about that case today, and you can as well. Here’s The Guardian simply laying out the facts of the issue at the time. Here’s a New York Times op-ed giving the Croatian side, and another piece from The Forward that indicates a belief that Dylan was not speaking about the 1990s, but rather about the role of the Ustasha in the Second World War. It’s hard to say exactly what Dylan was saying, though I do lean towards the point of view put forward by The Forward myself. Finally, here’s The Guardian again noting in April of this year that the case against Dylan has been dropped, but it is proceeding against the publisher. (By the way, the conclusion drawn by Dylan’s lawyer at the end of this article seems entirely wrong given that the case is proceeding against the magazine). That does not strike me as a good resolution, but France is not exactly a country that I would turn towards for its thoughts on liberté, egalité, or fraternité in the current historical moment. So, not a great interview. I came out of this liking Dylan a lot less and some people came out of it wanting to see him imprisoned in France. Yikes! Since I’m old, I’ve probably already mentioned how in my youth my buddies and I worshipped Van Morrison like unto a divinity. As time went on and more albums came out and we learned more about the man and his on- and off-stage behavior, there came a moment when we looked at each other and said, “He’s nuts.” Didn’t fundamentally affect our reaction to the music, but it was an epiphany. On the other hand, he’s nuts–nuts in the way you probably need to be in order to keep on being Van Morrison or Bob Dylan.